For the past three years, Your West Coast Oenophile has roared into January, intent on starting out the New Year with reinvigorated resolve toward Sostevinobile, including diligent attention to this blog that has kept us vibrant in the public eye for several years running. 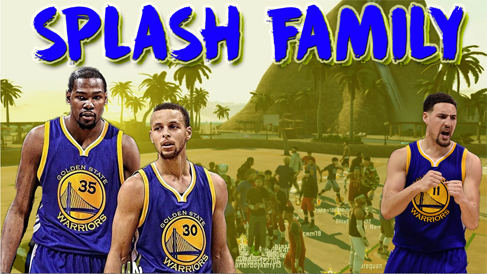 And the, like clockwork, BOOM! I inexplicably get waylaid by an opportunistic infection that sets me back for weeks. And so 2018 found me as the unanticipated guest at Lompoc Valley Medical Center. a community-funded facility adjacent to Lompoc’s understated Wine Ghettto, the home of such esteemed labels as Palmina, Flying Goat Cellars, Holus Bolus, Moretti, Montemar, and Domaine de la Côte. 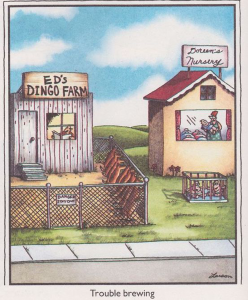 Being confined with Draconian dietary restrictions, while gazing out my window at this cornucopia of elite vinification, felt much like the classic Far Side panel. Worse, the food I was permitted—does anyone under 40 even know what Salisbury Steak is?— came from a chef whose culinary tutelage apparently took place at Swanson Frozen Foods, circa 1962. Was this some form of divine retribution for my attempts launch Château Lompoc (The Wine Served Behind the Finest Bars in America) oh-so-long ago? Suffice it to say that the inmates at Club Fed were dining in luxury compared to my daily allotment. But truly I am grateful for the exacting medical treatment and therapy that allowed me to stroll out on my own power, intact with ten toes, and able to complete my recovery back in San Francisco, two belt notches slimmer for the wear & tear. And while I have finally reached the point where I feel am physically past all the residual effects of this setback, the backlog of work it has created is just beginning to clear. Obviously, this blog has endured great neglect, though not for lack of effort. Many times over the past several months, I took out my tasting notes, sat down before my MacBook Plus, opened WordPress, and started a new post, only to be overcome with fatigue—or worse, a realization that what I had intended to write had missed its window for relevance. Which is not to say that my attendance at the Los Carneros Pinot Noir Tasting ZinEx, Garagiste Southern Exposure (Solvang), First Taste Yountville, Coombsville Vintners & Growers, Auberge du Soleil’s Friends & Neighbors, Women Winemakers, 750 Winemaker Studio Tasting, Atelier Melka, Spring Mountain, the Wineries of Wheeler Farms, Première Begins at Oakville, San Francisco Vintners Market, Taste of Mendocino, the amazing California lineup at Slow Wine, A16’s Festà della Donna, and the Santa Cruz Mountain Winegrowers’ April Passport was mere an exercise in imbibition. Even though I may attend many of these events through my media credentials, my purpose has always been multifold, Besides the observations I sporadically record in this blog, I have always been methodically building the most extensive database of West Coast wines in order to create an inventory of unparalleled breadth and quality for Sostevinobile; towards that end, I have managed, even with my medical hurdles, to record a dozen or so uncharted varietals and close to two hundred new wine labels already this year. Secondly, over the past few years, I have used forays and explorations to create new wine events, and I am pleased to announce that this summer I will be producing CalAsia 2018, the first comprehensive tasting of Asian American/Asian-owned wineries in California. Furthermore, my partners in this undertaking and I are establishing a new venue for professional and public wine tastings throughout the year, and hope shortly to announce a second major tasting event—one that will be familiar to most readers here—also this August. And if that weren’t enough, I am now in the process having having a brick & mortar space in San Francisco procured for Sostevinobile. This expansive edifice stands at over 2½ times the square footage I had targeted for my wine bar/restaurant/retail store and remarkably contains an entire floor that has already been extravagantly developed. This, in turn, allows me also to launch a members-only wine club within the facility, with lounge space, meeting rooms, private dining, a Reserve List wine bar, individual storage lockers, and a personal concierge for wine purchases, tours, and other amenities. This entry was posted in Uncategorized and tagged Domaine de la Côte, Flying Goat Cellars, Holus Bolus, Montemar, Moretti, Palmina on April 29, 2018 by donaldmarc. Steely Dan labeled it best as Pretzel Logic. Longtime readers of this blog will remember the Ginkgo Girl from my earliest posts and are likely to realize I have not filled the void in my life since we split up several years ago. To a large extent, Your West Coast Oenophile has had to make do on a subsistence level while raising funds for Sostevinobile—not exactly something that enhances one’s marketability on the romantic front—so with my recent rise from the threadbare level of impecuniosity, I have concomitantly become more self-assured in my social forays. But alas, the hopes I had affixed to an exceedingly charming woman I met at a SoCap gathering were promptly dashed with “I am happily married” in our ensuing conversation. Like many others, I find myself taking solace not just in wine but in music as well, at such moments of deep disappointment, and so I tracked down the ever-so-appropriate video of Midnight Confessions by The Grass Roots. YouTube usually generates a list of interrelated videos in its right side column whenever you visit their site. I suppose there is a thematic link to Linda Ronstadt’s Long, Long Time—after all, who has better vocalized unrequited love?—even if, musically, these two acts could not be more incongruous. In turn, I subsequently indulged in a reprise of her great hits from the 1970s to distract myself from the hazardous air quality that had sequestered me in my San Francisco flat for the better part of a week. Christopher Loudon of Jazz Times wrote in 2004 that Ronstadt is “blessed with arguably the most sterling set of pipes of her generation.“ I certainly won’t contend with the overall sentiment of this encomium, but just as wine connoisseurs will favor the 2012 Ghost Horse Spectre over Screaming Eagle, true music aficionados know that Tracy Nelson has no peer. The former lead singer of Mother Earth has only achieved minor commercial success over the years, save for her now-obscure duet with Willie Nelson and theme for this post: After the Fire is Gone. The recent conflagrations in the wine country have exacted a toll on the California wine industry that will take months to comprehend fully. Somewhere between the sensationalist headlines of the national media and the laudable optimism of the growers and vintners there lies a sobering reality no one has yet to comprehend fully. And among the myriad efforts to aid the stricken communities, it has been particularly laudable to see and participate in the events sponsored by CA Wine Strong, a collective effort among numerous wine trade associations across the state. In my usual overambitious manner, Sostevinobile is exploring sponsoring its own wine benefit in the ensuing months, but I will decline to expound further until it is a certainty. In the meantime, I hesitate to note that the aftermath of this cataclysm does leave open a long overdue window for the many diverse viticultural districts across the state and throughout the West Coast to attract attention to their wondrous wines. This should not be seen as opportunistic—wide appreciation for the panoply of wines produced here can only help invigorate the world’s perception of our entire region once Napa and Sonoma have fully rebounded. Many other industry veterans have noted that emergent Cabernet strongholds like Paso Robles, the Columbia Valley, and Washington’s Red Valley are now likely to come into prominence. Wineries nearby in AVAs like Monterey, the Livermore Valley, and the Santa Cruz Mountains have long had strong local followings, and will certainly now look to expand the scope of their reputation. But it is my hope that the many unheralded regions will now also be given their due. Even I have had my share of serendipitous moments of late, discovering a wealth of wineries in AVAs like Inwood Valley and Clarksburg, where an understated Scribner Bend amazed with its 2013 Black Hat Tempranillo. And spurred by Mike McCay’s tireless efforts to tireless efforts to define and refine Zinfandel vinification as the signature expression of the AVA, rising stars like Michael Klouda, whose spectacular 2015 Carignane Lodi Appellation has rightfully been called “a phenomenal expression of this underappreciated varietal,” are reinventing Lodi as a must-see destination. After combing through my copious tasting notes for 2017, I still feel the most impressive wine I have sampled thus far has been the 2015 R Blockhouse Vineyard Dolcetto from Jeff Runquist. This superb, exquisitely balanced wine embodied all of the glory that a superior Dolcetto can reach. Admittedly, these grapes were sourced from Yountville, but the overall craft of this winemaker, who blends grapes from Amador County, El Dorado County, Paso Robles, Clarksburg, Lodi, Stanislaus County, San Joaquin County, and River Junction as well, reaffirms why this winery is one of the true beacons of the Amador AVA . Acrosss Shenandoah Road, the inveterate Vino Noceto produces some of California’s purest expressions of Sangiovese, in particular the 2014 Dos Oakies Sangiovese, which I sampled during a delightful 3-hour tour and tasting with owners Jim and Suzy Gullett. Their plantings and vinification of Sangiovese Grosso clones sourced from Montalcino are a testament not only to the Shenandoah Valley sub-AVA but to the incredible bounty of varietals produced throughout California. As noted in previous posts, Vino Noceto has a kindred spirit in the Los Olivos AVA, Jamie and Julie Kellner’s esteemed Cent’Anni, whose authentic recreation of Chianti employs their meticulous plantings of Montepulciano, Sangiovese Clone 3, Sangiovese Clone 6, Sangiovese Clone 23, Sangiovese Rodino Clone, Colorino, and Caniaolo. Yet while Santa Barbara County may contain Southern California’s most noted winery cluster, numerous other as-yet unheralded enclaves are starting to clamor for attention. Among these are the Ramona Valley in San Diego, both Malibu-Newton Canyon and Malibu Coast (including parts of Ventura County) in Los Angeles County, Cucamonga Valley, which straddles both Riverside and San Bernadino counties, and Sierra Pelona Valley near Santa Clarita. Several of these areas focus heavily on the Italian varietals Sostevinobile so favors, as does the Temecula Valley, the most prominent wine region of Riverside County. I have only visited this AVA once before, but have known its warm climate to be well-suited for grapes like Nero d’Avola and others thermophilic varietals that predominate the Italian south. But Temecula was ravaged by Pierce’s Disease at the beginning of this millennium, which obliterated over 90% of its vines. Despite replanting, the region has been handicapped by this event, and, in truth, I, too, held an enormous skepticism about its quality and viability. That is, until I was introduced to one of its oldest and most resilient wineries, Baily Winery. 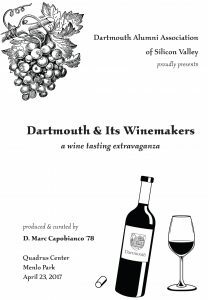 Initially, as a courtesy, I had invited owner Phil Baily to participate in the Dartmouth & Its Winemakers tasting I produced this past spring, expecting he might pour a white wine and his Sangiovese, as representative of the region. Rather, Phil not only flew up to Menlo Park the night before the event but graced us with a 3-year vertical of his signature estate blend—I have savored the 2013 Meritage many times since—Cabernet Sauvignon invused with Cabernet Franc, Merlot, and Malbec, all grown at his Berenda Vineyard. All three vintages could easily have fetched twice the price tag of $65, had they been cultivated in Napa or Alexander Valley. But perhaps the ultimate barometer of Temecula’s status and quality is that numerous of its wineries are now the target of Chinese investment! Like most, I grieve for the losses friends and colleagues throughout the North Coast have endured this fall. And I have little doubt most, if not all, will prevail despite this incalculable devastation and return in time to their former prominence, steeled with resolve and renewed fervor. I, too, will continue efforts to aid them in ways at which I am most adept, while employing Sostevinobile’s various resources to promote other West Coast wine regions during this period of rebound and transition. After all, the perceoption of a robust and pervasive wine industry throughout our Pacific region can only be beneficial to all. This entry was posted in Cabernet Franc, Cabernet Sauvignon, Canaiolo, Colorino, Dolcetto, Malbec, Merlot, Petit Verdot, Sangiovese, Tempranillo, Uncategorized, Zinfandel and tagged Baily, Cent’Anni, Ghost Horse, Jeff Runquist, McCay, Screaming Eagle, Scribner Bend, Vino Noceto on November 7, 2017 by donaldmarc. My readers know that Your West Coast Oenophile holds very strictly to a core sense of æsthetics and propriety. If not, Sostevinobile might well land up a paltry rendition of TGIFridays. Or worse.This resolve explains why I have not owned or operated any of the execrable software Microsoft publishes since 1989. Or why, apart from the pressing needs of a turgid bladder, I have not set foot in a McDonald’s since 1975. It isn’t simply an abhorrence of their culinary atrocities that propels me to eschew the Golden Arches. In my view, McDonald’s embodies everything that is wrong with America, and as we slough through this modern era with its fast food-fueled Presidency, it only grows truer. In a similar vein, of course, I have long held an unabated disdain for the perceived cultural abyss that demarcates the technological expanse to the south of San Francisco. Even now, as a newly-minted member of the California National Party, my arguments championing independence for our nation-state, are based not only on our economic prowess but the distinct identity of the Golden State (not withstanding Sostevinobile’s focus on wines from the West Coast, which reflects my contention that the expanse from British Columbia to Baja is an indivisible continuum of California’s viticultural sway), yet I have remained remarkably loath to embrace 408-land as an inextricable part of our landscape. In truth, I am far from unwavering in asserting my belief in the supremacy of Californian culture. After all, we still cling atavistically to the barbarism of the death penalty. Our contributions (Herbert Hoover, Richard Nixon, Ronald Reagan) to the confines of 1600 Pennsylvania Avenue hardly represent the zenith of Presidential politics, and unfortunately California deserves full credit that most unholy of institutions: the No Host Bar. Nonetheless, I am discovering aspects of Silicon Valley that actually warrant my admiration. Many times here, I have extolled the viticultural virtues of wineries like Ridge, Kathryn Kennedy, David Bruce, Michael Martella, Rhys, Bonnie Doon, Big Basin, and Thomas Fogarty, to name but a few. Indeed, the non-technologically focused west side of Santa Clara County, as it melds into Santa Cruz, retains much of the agrarian charm and rural beauty that defined Silicon Valley before computer technologies dominated the region. And even as the valley strives to encroach upon San Francisco—sorry, Anjou Ahlborn Kay, but we will never become its adjunct—the west side of I-280 remains a pristine preserve, with its reservoirs and preserves. 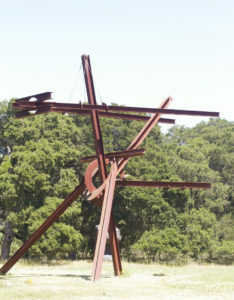 Earlier this summer, I returned to privately-held Runnymede Sculpture Farm in Woodside for the 3rd annual holding of Silicon Valley Wine Auction This estate, of course, is a dazzling testament to what one can achieve with a billion dollar inheritance, featuring dozens of outdoor works from Andy Goldsworthy, David Kraisler, Raul Baeza, Brian Wheeler, Sam Perry, Mark di Suvero, Keith Haring, Robert Arneson, and many others. The event brings together a dazzling array of wineries from the Santa Cruz Mountains AVA and does as much to promote the quality of these wines to a well-heeled crowd that may or may not realize the abundance that can be found in their own backyard as it endows the Silicon Valley Educational Foundation, the beneficiary of this extravaganza. The combination of wine, superb catering, world-class art, and a stunning rural backdrop cast Silicon Valley in a whole new light, a radical departure from the concrete box architecture, sterile corporate campuses, and monolithic culture that comprises the vast stretch of cutting-edge technology from Sunnyclara and Santavale to Cupertoga and Saravale. As I joked with one of the promoters, the one utterance that was never heard throughout the weekend was “I miss Levi’s Stadium, the soulless rectangular edifice, designed with all the precision and allure of a circuit board, that housed the first two years of this auction. 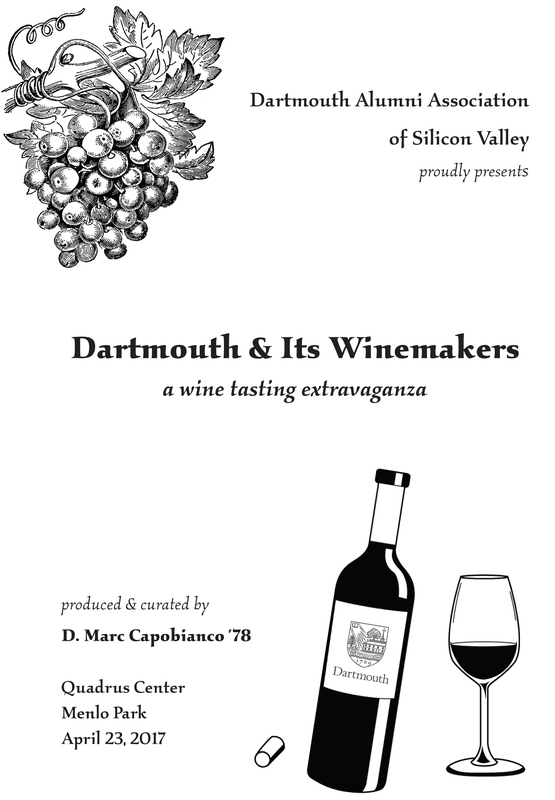 I had tried to secure Runnymede for the wine tasting I produced this past April, an assemblage of 30 wineries from around the state owned or operated by alumni of Dartmouth College, the venerable institute where I had obtained my degree in Classical Languages and in Creative Writing. Other venues we considered bordered on the ludicrous—Rosewood Hotel wanted $40 corkage for each bottle poured at the event on top of their rental fee. After a considerable search that extend as far north as San Mateo, we finally settled on the Quadrus Conference Center, across from the Stanford golf course. Virtually seven years to the date, the Bay Area’s inaugural Paso Robles Wine Country Grand Tasting, took place at this understated venue nestled amid the leading venture capital firms. I not only attended but chronicled the event in a lengthy post here, and while I retained fond recollections of the wines, as well as an in-depth conversation with Tablas Creek’s Tommy Oldre after the tasting concluded, I somehow had managed to blank out any memory of the venue until I inadvertently perused my notes from 2010 a few hours before heading down to Menlo Park. N’importa, with perfect weather throughout the afternoon, Quadrus proved an enormously memorable venue, with breathtaking vistas spanning the southern tip of the San Francisco Bay and the Cargill salt ponds, the entire span of the Dumbarton Bridge, and, off in the distance, Mt. Diablo’s majestic peak. A more soothing and splendid backdrop could not be found. I suppose it would have been utterly splendid to depart the Sand Hill Road complex offer sheet for Sostevinobile in hand, but alas, with the regrettably tenuous attendance meant this was not in the cards. Still, not long thereafter, I attended an innovative convergence of the Silicon Valley financeers and pioneers in the emergent agricultural realm. One World Training & Investments produced an unprecedented gathering entitled HACKING FOOD: Silicon Valley’s Sustainable Food Festival at BootUp, an unheralded incubator in Menlo Park. This was not a typical foray into Agtech investment, which currently seems is dominated by speculators in the new Gold Rush: legal cannabis. Rather, this conference focused on entrepreneurial opportunities in sustainable food production, along with new efficiencies in distribution and other attendant technologies. Here was a side of Silicon Valley rarely seen: investors focused not on the Next Big Thing nor a 20X return on investment IPO, but innovations designed to further access to nutrition and promote the health of the planet. Tangible good, instead of technological progress for progress’ sake. It was the kind of commitment that made even this Silicon Valley skeptic take pause. This entry was posted in Uncategorized and tagged Big Basin, Bonnie Doon, David Bruce, Kathryn Kennedy, Michael Martella, Rhys, Ridge, Tablas Creek, Thomas Fogarty on October 17, 2017 by donaldmarc. In strategizing the anticipated launch of Sostevinobile, Your West Coast Oenophile has striven to attend to even the most excruciatingly fine detail of our operations. Some may find this assiduousness fanatical, but it would be folly to have labored so assiduously for almost nine years, only to be undone by trivial oversight. Amid the current economic boon, other ventures may chose to flout the ongoing need for diligent adherence to critical matters like sustainability; the cavalier generation of waste from the wanton packaging of home meal delivery services and other modern conveniences—demonstrating that being organic can nonetheless still be unsustainable—never ceases to astound me. Similarly, I find myself galled by the way some establishments will gouge their clientele. Sure, it costs an insane amount of money to live here in San Francisco. A recent study calculated that a person need earn $110,357 to live comfortably here, so it follows that prices for everything must ultimately be as exhorbitant. A restaurateur, who may be paying $6/sq.ft. in rent, needs to charge $25 for his basic entrées just to stay afloat. And so, with the affluence of the Dotcom 2.0 era, we’ve become inured to the $4.50 slice of toast, the $10 shot, and the $12 cocktail. Still, one establishment recently charged me $2 extra for a splash of ginger ale in my bourbon. Another had the gall to add $4 to the price of their premium vodka for the whisper of vermouth that made it a martini. $4 for roughly ¼ oz. of Dolin Dry? Let’s do the math. A 750-ml bottle, which equates to 25.36 oz, costs around $15 in a store. Which means the wholesale price is $10. Considering the bar is squeezing out more than 100 pours, that equates to 10¢ worth of vermouth. In other words, a 3900% markup! I am well aware that the most wine bars command enormous markups as well—to the extent that it almost makes more sense to stay at home and enjoy an entire bottle for the price of a single. This certainly holds true in place where the wine selection could just as easily be plucked from the shelves of BevMo as curated by their would-be sommelier. But Sostevinobile is intent on offering our clientele not simply the broadest selection of wines but comparable value in what we serve. My program is predicated on the individual relationships I have cultivated among the 4,300+ labels I have so far vetted. These relationships are intended to enable me to showcase the best wines from the West Coast at a fair price for both the wineries and our clientele. The pricing structure for Sostevinobile may well turn out to be less than what other would deem economically sustainable in this market. If so, I will likely be compelled to veer from my weill-honed business plan. Perish the thought! I might be forced to ramp up marketing efforts and drive in more business! This entry was posted in Uncategorized, Vermouth on August 30, 2017 by donaldmarc. Your West Coast Oenophile tried to post this response to a blog entry from The Wine Curmudgeon, but his Comments form isn’t working (or isn’t compatible with Safari). Oh well, it probably belongs on Sostevinobile anyway. I started my wine career in 1982, when, for the most part, major wineries were focused on 1.5 L bottlings and conformed to a fairly uniform lineup. Bob White and Bob Red were respectable wines coming out of Woodbridge, Glen Ellen was damn good for its price, and even a place like Château St. Jean offered a $7 Vin Blanc that comprised 50% of its produce. Of course, there was also Gallo Hearty Burgundy, Carlo Rossi, Cribari, Taylor California, and dozens of 51% varietal, 49% Tokay/Thomson Seedless blends. 35 years later, the quality and sophistication of California wine, along with the specificity of its vineyards, varietal plantings and clone selections are inarguably æons beyond what they used to be. What constitutes an ultrapremium wine today is a far cry from what was considered ultrapremium back then. This entry was posted in Thompson Seedless, Tokay, Uncategorized and tagged Château St. Jean, Glen Ellen, Robert Mondavi on June 26, 2017 by donaldmarc. 1. a gap or missing part, as in a manuscript, series, or logical argument; hiatus. 2. Anatomy. one of the numerous minute cavities in the substance of bone, supposed to contain nucleate cells. 3. Botany. an air space in the cellular tissue of plants. Loyal readers of the Sostevinobile blog have probably noticed a paucity of entries, so far, for 2017. As in none. This gap, however, has not occurred because Your West Coast Oenophile has been missing in action or confronting his worst case of writer’s block since John Hawkes’ graduate seminar in fiction writing. I have actually started several posts covering my wine forays to Napa, Sonoma, Paso Robles, Amador, Lodi, Santa Cruz, and El Dorado (according to my odometer, nearly 77% of the miles I’ve clocked in 2017 have been for wine tasting forays). Add to that the usual array of trade tastings, although I skipped ZAP for the first time in 20 or so years, as it coincided with Premier Napa, plus I single-handedly produced a wine tasting extravaganza in Menlo Park, featuring some 30 wineries owned by or affiliated with alumni from my undergraduate institute. In a word, I’ve been hard-pressed to put words to the page. And since I am so woefully behind in timely coverage of the various events I have attended, let me focus on the various discoveries I have made over the past few months as I have been meandering throughout the state. As they usually do, my journeys began with a swing down to Paso Robles, though this time with one very significant difference: rain. After 5 years of drought, the weather gods seemed determined to atone for their dereliction in a single season, and on the Friday before President’s Day, turned what is normally a 3¼ hour drive down US 101 into a 7+ hour ordeal. Despite oftentimes feeling as if I were taking my life into my own hands—at one point, almost driving into the Salinas River—I still managed to handle the deluge in stride, and managed to visit quite a number of wineries, while sandwiching in the regional Rhône Rangers tasting. It proved a most revelatory excursion, renewing my acquaintance with Roger Nicolas of RN Estate (not to be confused with Roger Nicholas of Lodi’s Grand Amis) and discussing his transition from the superb Rhône varietals he produces to a Bordeaux focus, including his sublime 2014 Malbec. Readers here know that I have been championing Malbec as the Next Big Thing in California (along with my declaration of Pinot fatigue). Just before joining Roger for his tasting, I waded through the Adelaida District to join Jim Madsen at Thacher, where The Farm was laboring through its annual day of bottling. Much to my surprise, Santiago Achával was also manning the line alongside his associates. Though we had not met before, we have corresponded over the past several years and have numerous mutual friends, including Manuel Ferrer Minetti, his former partner at Argentina’s renowned Achával-Ferrer. To learn from Santiago that The Farm was indeed planning to bottle their own Malbec in Paso Robles—once it met his exacting standards—was an epiphany. Further underscoring this prognostication was my discovery of Tooth & Nail’s 2014 The Fiend, a Malbec blended with 8% Cabernet Sauvignon, 2% Petite Sirah, and 2% Syrah and a revisit with Wally Murray’s Bon Niche, whose 2011 Voûtes/Arches has long been a benchmark Malbec blend. In fact, Wally’s second label, Birdland, is comprised of three mid-range Malbecs and Malbec blends, a further validation of my belief that California is no longer ceding this varietal to the South Americans. The only question that remains is whether Carménère can be far behind. I have been referring to this Paso Robles trip as my M&M excursion. True, before the massive proliferation of wineries throughout the AVA, a packet of these candies was my go-to choice whenever I stopped here for the obligatory refill the tank and relieve the bladder before the second leg of my drive to Los Angeles, but this winter, it took on a whole new meaning. Also rising up from relative obscurity among its peer varietals, Mourvèdre, at long last appears to be taking center stage for many Rhône red producers. 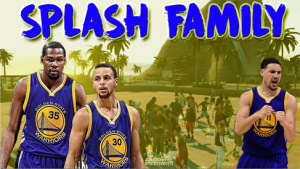 If GSMs could be likened to a professional basketball squad, Grenache would be Kevin Durant, Syrah—Steph Curry, and Mourvèdre, the overshadowed star of this triumvirate, Klay Thompson. But just as Thompson can manage to eclipse his co-stars every so often, so too can Mourvèdre find its niche as a primary varietal. The Saturday event at Broken Earth proved, admittedly, a bit of an endurance test, given the decibel level of the concrete antechamber where the Grand Tasting took place. Placards hung from the ceiling celebrate each of the Rhône varietals, though the irony of misspelling “Mourvédre” was not lost. Still, eleven of the participating wineries featured a varietal Mourvèdre bottling, with particular standouts including Adelaida’s 2014 Mourvèdre Signature Anna’s Estate Vineyard, Clautière’s 2012 Estate Mourvèdre, compelling bottlings of the 2014 Mataró from Red Soles, Summerwood’s 2013 Mourvèdre, and the 2014 Mourvèdre from the redoubtable Vines on the Marycrest. Rounding out the assemblage, both Seven Oxen and Rhône virtuoso Tablas Creek offered superb renditions of their 2014 Mourvèdre. Whether it’s labeled as its Spanish name (Monastrell) or its Catalan nomenclature (Mataró), Mourvèdre has been unheralded as a primary Rhône varietal for far too long on the West Coast. It is most gratifying to see that it is finally getting the measure of respect it deserves. Of course, I could say the same for the vast majority of the 200+ varietals I have sourced for Sostevinobile throughout the West Coast, but that would require a far more comprehensive undertaking than I have time to allocate currently. Still, my final takeaway from Paso Robles was the discovery of a true Gamay—not Valdiguié—the 2015 Stasis Gamay Noir from Rob Murray’s Murmur VIneyard in nearby Santa Maria Valley, an exceptional wine that easily rivaled the 2012 RPM Gamay Noir, my overall favorite wine from that vintage. After stopping off in Carmel-by-the-Sea, I made it back to San Francisco with barely enough time to brush my teeth and reload my travel bags before heading up to Napa and Sonoma for a five day excursion. In many ways, I concede that the events surrounding Première Napa are more personal indulgence than research; after all, this is primary county-wide showcase of the year and it remains fairly difficult, for the most part, to distinguish, critically, wines that range from very good to phenomenal. Première is about building and cementing relationships, cultivated over the years, in the hope of gaining discrete allocations if and when Sostevinobile becomes able to take on a prestigious reserve list or cater to a private membership within the confines of our facilities. The other challenge, of course, is the rigid orthodoxy of the Bordeaux strictures to which the vast majority of Napa wineries adhere. Encountering unheralded varietals or non-traditional blends is a rarity in this AVA. Highway 29, the backbone of the Napa Valley, interconnects its most mainstream AVAs: Oak Knoll, Yountville, Rutherford, Oakville, and St. Helena, and along this conduit one tends to find the least variance in deference to the near universal excellence of its Cabernets—not to mention the price per ton Cabernet Sauvignon from here commands. Meanwhile, the more remote regions of the county, like Coombsville and Calistoga, generally seem more willing to delve into other varietals—even those that have fallen into disuse in Bordeaux! As scarce as Malbec may be in California, the fabled sixth Bordeaux grape, Carménère, is even rarer. Even its most noteworthy producer outside of South America, Yorkville Cellars in Mendocino, seems almost reticent in promoting its varietal bottling. But with little fanfare, the redoubtable John Caldwell has plantings in Coombsville, and what suppose to be a quick visit to discuss obtaining some graftings of Malbec and of Carménère for my Paso Robles clients turned into a 3½ hour bacchanal that only ended because I had to attend a memorial service at the Marin Art & Garden Center in Ross. I’d like to believe the late Dr. Jim McCole would not have minded my missing his Celebration of Life. Certainly, he would have himself preferred to indulge in the 2014 Rocket Science, Caldwell’s signature bottling of ⅔ Syrah with 7% Cabernet Sauvignon, 7% Malbec, 6% Cabernet Franc, 5% Pinot Noir, 4% Merlot, 3% Tannat, and 1% Carménère, a blend as unconventional as the man behind it. I, in turn, cottoned to the 2012 Gold Cabernet Suavignon and an equally alluring 2014 Silver Proprietary Red, a rare blend of his six Bordeaux varietals, with a 1% dash of Syrah—an homage to 19th Century Claret. Caldwell is renowned for the meticulously researched, albeit often smuggled, varietal clones grown on his estate, and labels his wines accordingly. The apex of this precision was his 2013 Merlot [Clone 181], along with the 2013 Malbec [Clone 595], but I still delighted most in the 2014 Carménère [Clone 2]. 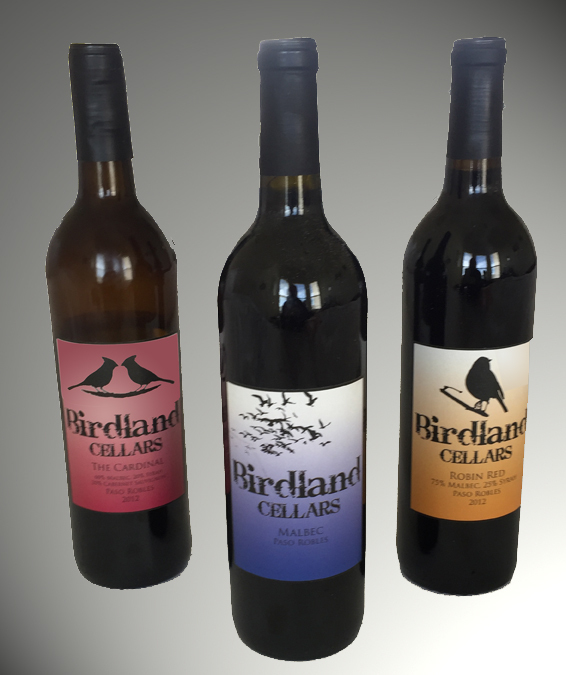 This entry was posted in Cabernet Franc, Cabernet Sauvignon, Carménère, Gamay Noir, Gros Verdot, Malbec, Merlot, Mourvèdre, Petit Verdot, St. Macaire, Syrah, Tannat, Uncategorized and tagged Adelaida, Birdland, Bon Niche, Broken Earth, Caldwell, Clautière, O’Shaughnessy, Progeny, Red Soles, RN Estate, Seven Oxen, Summerwood, Tablas Creek, The Farm, Tooth & Nail, Vines on the Marycrest, Yorkville Cellars on June 8, 2017 by donaldmarc. An interesting question posed Your West Coast Oenophile is whether Sostevinobile would consider opening a branch outside the parameters of our West Coast focus. Such a venture would, of course, violate the regional and environmental guidelines I have set for our operations, but I have considered, in times of idle speculation, how our model might be adapted to another region. One could create a discreet chain of wine bars localised on the wines produced throughout the Great Lakes region—predominantly Michigan, Ontario, Ohio, and the New York Finger Lakes. Another model might focus on the Eastern seaboard, from Long Island down through Virginia and North Carolina. Of course, these are just intellectual speculations, with one caveat. Early on, in my development of Sostevinobile, I stipulated that I would not categorically refuse to consider any wine produced from the West Coast and meeting our sustainable criteria, except for the now-defunct Asteri Mou (for reasons I no longer need to elaborate). Similarly, were I to develop these cloned versions of our operations, I would absolutely eschew any wine from Trump Winery—the political implications being quite obvious, I would hope. Besides, how could you trust a wine from someone who has never even tasted his own vintages? Speaking of wine tasting, this November has been jam-packed with events—far too many for me to have covered all. 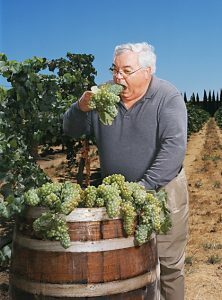 Impecuniosity and the implausibility of bilocation caused me to miss a handful of annual events, including Califermentation, the Paso Robles session of the Garagiste Festival, SF Vintners Market, and Premier Cruz. Alas, I missed some 30 wineries I might have vetted for Sostevinobile, but, as is my wont, I have catalogued their information and am reaching out to them on my own. Among the many events I did manage to attend, the most intimate certainly had to have been the ragtag popup organized by Pietro Buttitta. Little else may link the assembled collective that comprised the New Mission Winemakers besides their situation in various industrial facilities scattered throughout San Francisco, but their disparity did not diminish the overall quality of the wines featured at this debut. As he transitions from his former label, Rosa d’Oro, which focused primarily on Italian varietals, to a more nuanced Prima Materia, a deft touch can be seen in such bottlings as his lush 2013 Mourvèdre, along with other Rhône and Bordeaux offerings. And yet this new direction has not diminished his craft from Rosa d’Oro, here displayed in a delightful 2013 Vermentino, a compelling 2012 Refosco and 2012 Montepulciano, and a truly wondrous 2012 Aglianico. The 2014 Aglianico ruled the day among the 16 or so selections Harrington Wine poured. I equally cottoned to his splendid 2015 Corvina, a light, garnet-colored wine that could almost be mistaken for a rosé. Still, there was nothing mistakable about their 2014 Grenache, the 2015 Zinfandel, nor the 2014 Nebbiolo, a beautiful expression of the Piemonte noble grape. Added to this mix was the first release of the Chinato, an infused digestif based on Nebbiolo. Between these two Italian varietal specialists stood Betwixt, Tim Telli’s consistently excellent venture from the Minnesota Street facility Sostevinobile my one day call neighbor. Here Tim poured a most impressive 2014 Santa Cruz Mountains Chardonnay, paired nicely alongside his 2014 Pinot Noir Lester Family Vineyard and the aptly named 2013 Pinot Noir Helluva Vineyard. Sharing this Dogpatch urban winery, Flywheel Wines also stood out for their 2013 Brosseau Vineyard Chardonnay and the 2013 Boer Vineyard Grenache, both from the Chalone AVA. I had not previously encountered Betwixt’ and Flywheel’s third co-tenant, Cellars 33 (another winery at this facility, Von Holt, did not participate in this tasting). Its standout wine, from the selections poured here, arguably was the superb 2015 Grenache Blanc Lodi, a truly marvelous Rhône white. Blending these same grapes with Viognier produced their whimsical 2015 The Betty White, also from Lodi, while both their appealing 2013 Pinot Noir Gloria Vineyard and 2013 Zinfandel Bacigalupi Vineyard heralded from Russian River Valley plantings. This popup also afforded me my first tasting of Neighborhood Vineyards, Elly Hartshorn’s vineyard project in San Francisco. With vines planted at numerous locations throughout the City, Neighborhood is poised to become the first urban winery totally ensconced within its confines. While waiting for the vines to reach, Elly sources fruit for her other bottlings, like the 2014 Tide & Travel Pinot Noir from Santa Rita Hills poured here. One needn’t be a rocket scientist to make great wine, but being a geneticist might help. Tessier’s Kristie Tacey moved to the Bay Area to work on the Human Genome Project, then segued into winemaking. Judging by the wines poured here, her œnological DNA was most dominant in the 2015 El Dorado Grenache and the 2015 Russian River Cabernet Franc, a wine redolent of its Alegría Vineyard parentage. Meanwhile, one might easily believe Ed Kurzman had turned the vinification of Pinot Noir into an exacting science, with across the board excellence in all the offerings he poured from both his Sandler and August West labels. Still, the great pleasure from the latter proved to be his 2014 Sierra Mar Vineyard Chardonnay and the 2012 Rosella’s Vineyard Syrah. Ed’s Sandler offerings provided me with my first glimpse of the 2015 vintage, a year that had been marked by its low yields throughout the state. Nonetheless, it portends to be great, potentially surpassing both 2012 and 2014. Of the three single vineyard selections he poured, the 2015 Bien Nacido Vineyard Pinot Noir stood slightly above both the 2015 Keeler Ranch Pinot Noir and his proprietary 2015 Boer Vineyard Pinot Noir. But eclipsing all these: the utterly marvelous 2013 Boer Vineyard Grenache capped a most delightful afternoon on Minna Street. This entry was posted in Aglianico, Chardonnay, Corvina, Grenache, Grenache Blanc, Montepulciano, Mourvèdre, Nebbiolo, Pinot Noir, Refosco, Syrah, Uncategorized, Vermentino, Viognier, Zinfandel and tagged August West, Betwixt, Cellars 33, Flywheel, Harrington, Neighborhood, Prima Materia, Rosa d’Oro, Sandler, Tessier on January 10, 2017 by donaldmarc. A curious comment Your West Coast Oenophile overheard at a trade tasting recently. A wine buyer from a certain local restaurant scoffed at the notion of drinking California wines and exulted that they had been relegated to an obscure table at the rear of this event. In part, this kind of myopia is what gives Sostevinobile its focus in dealing exclusively with sustainably grown wines from the West Coast, but readers here, as well as our future clientele, need appreciate that our choices stem foremost from a belief in the excellence of the wines produced here. So, with this credo in mind, I recently headed up to the top of St. Helena to stage a somewhat ragtag shootout I dubbed The Judgment of Piemonte. Now much attention has been paid in 2016 to the 40th Anniversary of the legendary Judgment of Paris tasting, with commemorative events, seminars and celebrations having taken place throughout the year (though I am rather baffled as to why the major tribute should have taken place in Washington, DC). Previously, the 30th Anniversary restaging of the tasting again placed California above the French entrants. Five years later, the Chinese wine industry sponsored its own derivation of Steve Spurrier’s competition, the Ningxia vs Bordeaux Challenge, in which four of the five Chinese wines bested the top French entry. And earlier this year, Oregon’s Domaine Serène’s 2012 Pinot Noir Winery Hill Vineyard topped Burgundy’s selection to win the Platinum Best of Show at the Decanter World Wine Awards. As such, it seemed only fitting that Sostevinobile sponsor a tasting featuring anything but variants to French cépages. So when Nile Zacherle boasted he knew of no other California-grown Nebbiolo that could rival his selections at David Arthur, the die was cast. Longtime fans of their esteemed Elevation 1147 may not be familiar with their Italian varietals, but this Pritchard Hill icon most certainly has the wherewithal to afford deviating from Cabernet exclusivity. In turn, my long-standing affiliation with the Nebbiolo Enthusiasts & Believers (NEB) afforded me special insight into premium West Coast producers of this rich varietal. So naturally I marshalled a couple of ringers to counter Nile’s challenge. From Sebastopol, Emilio Castelli produces a line of vineyard-designate bottlings, as well as one sourced from the heralded Luna Matta Vineyard in Paso Robles. Further south, Palmina’s Steve Clifton is a sedulous devotee of the grape, with four distinct bottlings each vintage. And so the lineup was set. It was a spectacular sunny day, perched high up on the hill overlooking a remarkably full Lake Hennessey, the kind of setting that gives one pause to wonder why anyone would have wanted to herd cattle here, as Long Ranch was originally intended. Emilio hade the leisurely trek over from Sebastopol while I frantically dashed from my San Francisco abode once Palmina’s delivery from Lompoc, three hours late. 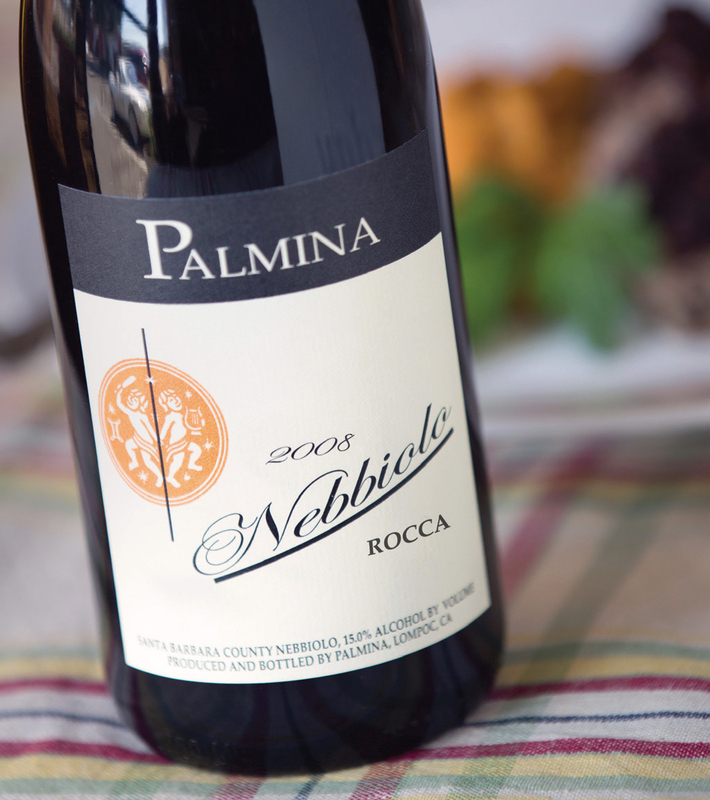 1) 2008 Palmina Nebbiolo Rocca Vineyard: A fruit-forward expression, with hints of tannin, this wine proved the overall favorite of the afternoon. As with all of Palmina’s selections, Steve Clifton’s restraint in releasing his Nebbiolos only when they are at their prime proved extremely admirable. 2) 2012 David Arthur Estate Nebbiolo: H0me field advantage? Only in that the rocky soil and hillside terroir that has proven so hospitable for Cabernet provides an equally-appealing stratum for the noble Piemontese grape. This slightly aromatic bottling, balanced at 14.9% alcohol (as was the Rocca), delivered a soft wine without any trace of astringency. 3) 2009 Castelli Estate Nebbiolo: Our panelists had rough consensus on this selection, a wine that clearly displayed Emilio’s facility with the grape. A pleasantly cherryish wine, with just a hint of sweetness to round it out. 4) 2008 Palmina Nebbiolo Honea Vineyard: A complex wine, to be sure. A powerful yet wondrous nose belied it honeyed tinge and remarkably soft finish. Slightly lower (14.5%) alcohol than Palmina’s other offerings here, balanced acidity, and the aura of food-friendliness. 6) 2008 Palmina Nebbiolo Sisquoc Vineyard: Also less concurrence among us for Palmina’s third vineyard-specific entry. I initially felt rather tepid about this selection, but grew to appreciate its ever-so-slight sweetness with subsequent tastings. 7) 2011 Castelli Estate Nebbiolo: Consensus here was that this vintage fell short of the 2009. Both wines showed considerable restraint at 13.5% alcohol, but this later bottling seemed more tart than sweet, a tinge that may have proved more approachable with food. 8) 2011 Rocche Costamagna Barolo Rocche dell’Annunziata: Perhaps an unfair ranking, as this wine seemed to have turned. Interestingly, it bore the highest alcohol of the wines we sampled blindly. Of course, this rather impromptu assembly of tasters and attentuated selection of wines would not bear scrutiny, compared the other aforementioned tastings. To accord more validity to our results, I independently tasted these eight wines at home, both with and without food pairings, along with two selections we had not included in St. Helena. To my surprise, both these latter wines superseded the bottlings we had tasted ensemble. The 2013 David Arthur Estate Nebbiolo proved an astonishingly wonderful wine, far more full than its predessors, a lush, phenomenal expression of the grape at 14.7% alcohol. Yet as much as I cottoned to this selection, I clearly favored the 2011 Castelli Nebbiolo Luna Matta Vineyard. Unlike Emilio’s other offerings, this wine heralds from the Paso Robles vineyard maintained by fellow NEB member Stephy Terrizzi, who bottles under the Giornata label. At 14.4% alcohol, this wine displayed the same light elegance that had originally driven me to the Castelli label and truly validated my selection of these wines for this challenge. I can only imagine how both these wines might have skewed The Judgment of Piemonte, had they been included. I suspect diehard Barolo devotees would not likely be swayed from their allegiance by the tenuous results of this session nor the local wines presented. But certainly even a tasting as narrowly focused as this refutes the monolithic prejudices many of the buyers I encounter and calls into question the acumen of the numerous sommeliers whose European bias could not be more palpable. The Judgment of Piemonte will be, I hope, a precursor to a more comprehensive tasting in the near future, one of many such events Sostevinobile plans to include in its upcoming repertoire. This entry was posted in Nebbiolo, Pinot Noir, Uncategorized and tagged Castelli, David Arthur, Domaine Serène, Giornata, Palmina on October 30, 2016 by donaldmarc.